Is there a better alternative to The Legend of Egypt? 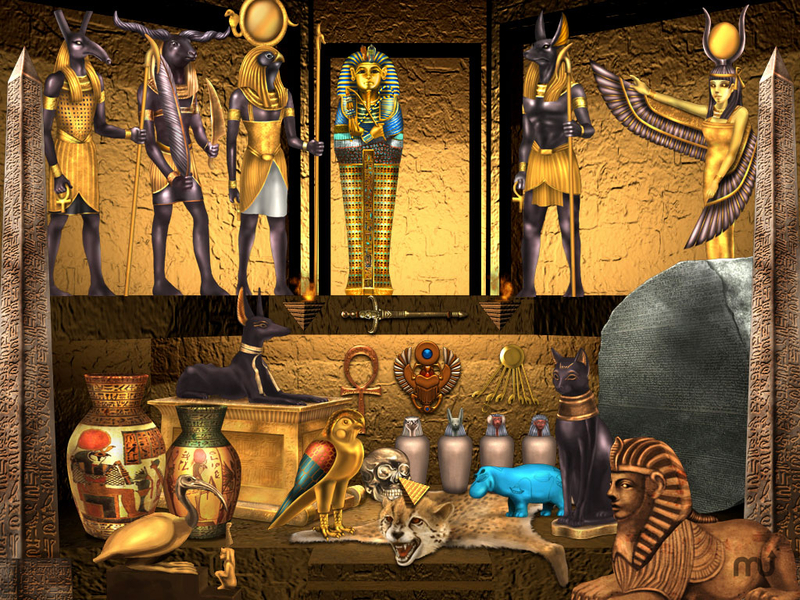 Is The Legend of Egypt really the best app in Puzzle category? Will The Legend of Egypt work good on macOS 10.13.4? The Legend of Egypt is one we think we all know: it's the Pyramids, the Sphinx, Pharaohs, the desert, and…mummies! The wealth and the reputation of the old culture at the Nile are still legendary and shrouded in mystery. However, there is one secret, you may disclose: How did they fill their pyramids treasuries? You are not only collecting treasures in this fascinating puzzle- and brain game. You are also gathering fame and recognition. Act clever to make it through all the levels and to increase your score and your resources, which may be swapped into luxury goods to fill your treasury. The Legend of Egypt needs a review. Be the first to review this app and get the discussion started! The Legend of Egypt needs a rating. Be the first to rate this app and get the discussion started! The further you progress in game, the harder the riddles and tasks get. Of course the treasures and their worth will rise accordingly! Act carefully and do not entail the wrath of the gods! If you miss too many of the magic symbols, Osiris, Ra, Chnum and Isis mood will impair. If you get hit by the wrath of the goods, parts of your treasures will disappear and you will have to start over. Things never turn out the way you expect. Should you be inobservant, the curse of the mummy may get you. Playing under the curse of the mummy can be hard because important tiles disappear and collecting treasures and appeasing the four gods will be harder. The more treasures you collect, the more tools you get. New tools are always better than prior ones and you should use them to increase your income. The game offers an easy introduction to be enjoyable to pros and untrained players as well. Over time and during the levels, the game-play will become more challenging.